At Phytocultures, our objective is to provide a cost effective and easily adaptable system to individuals who want to develop micro propagation technology and benefit from the years of monetary and scientific experiences that accompany our Phytokit™ systems. Phytocultures can provide everything you need to propagate plants, including seed, training and consulting services, manuals, a tissue culture kit, and additional components such as a sterilizer, mechanical balance, and more. Global training is one of the strong pillars supporting the growth of our company. We offer a complete course on plant propagation that details aspects of history, botany, propagating techniques and business planning. The core component of the Phytokit™ System emphasizes the link between technical competence and business necessity. Science with financial implications are key ingredients to successful plant tissue culture ventures worldwide. Learning and adapting Phytocultures’ techniques of tissue culture has added a new business dimension for many greenhouse and nursery facilities, to the point that many plant varieties can now be propagated in-house instead of using costly imported product. This in-house production presents an added bonus of providing your skilled labour additional work time with your company during seasonally slow periods. 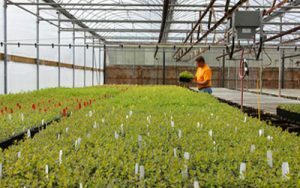 We have noted that employees benefit from a secure and stable work environment that arises as a Phytokit™ is used to propagate material for use in the nursery business. 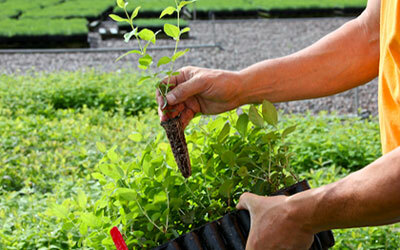 A Phytokit™ provides an opportunity to propagate your own plantlets of your new variety or breeding lines. Controlling all plant materials permits a maximization of return from your plant based intellectual property. Set and achieve high volumes of production on your own terms since owners of Phytokits™ have found they can schedule and control the propagation of their varieties. Owners of Phytokits™ find that propagating their own plant varieties allows them to control sales and marketing channels, which increases the likelihood of higher returns on potential royalty revenues.